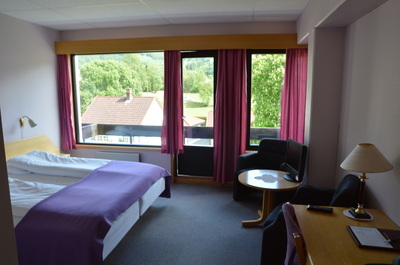 The hotel has 26 double rooms, 7 single rooms and 1 family room. All double rooms have a balcony. 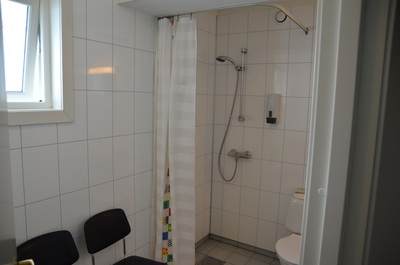 All rooms have a shower and toilet. 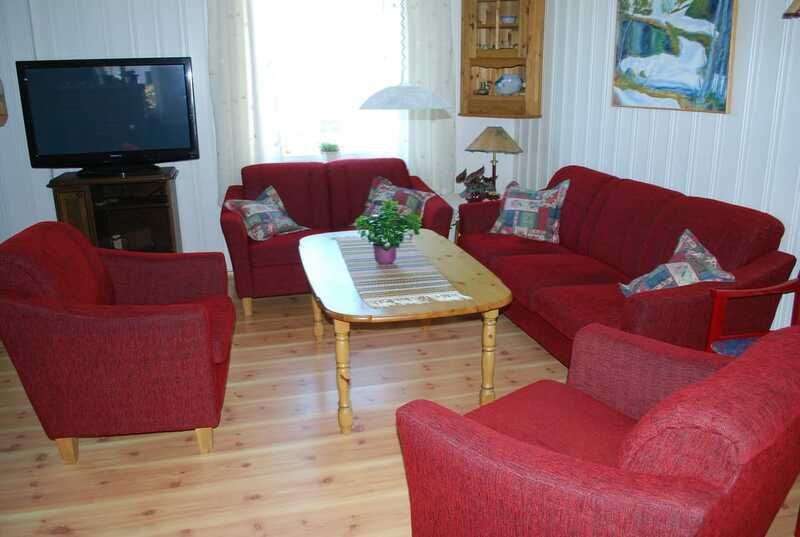 Telephones in all the rooms. 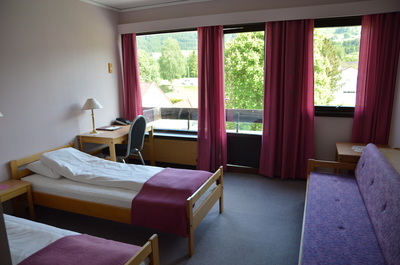 Single room with breakfast kr.945,-. 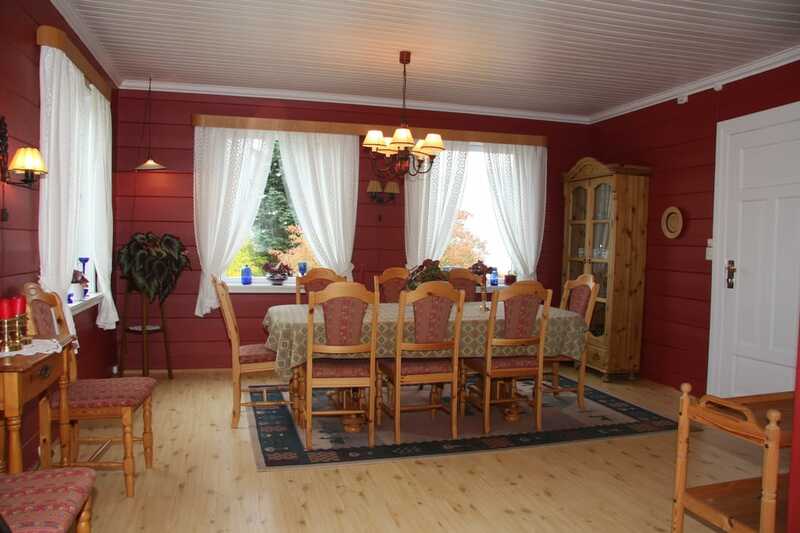 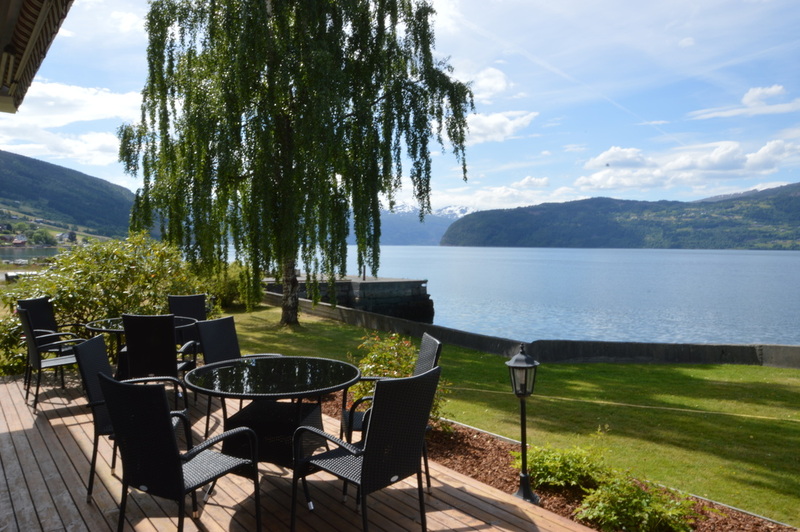 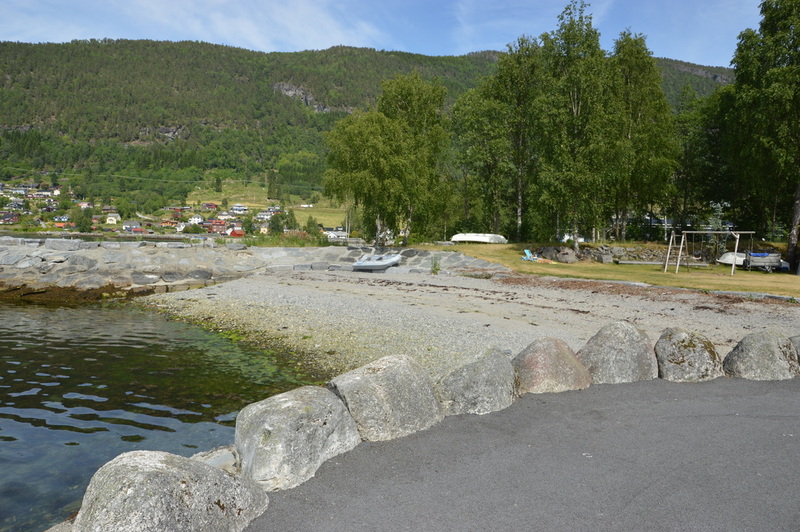 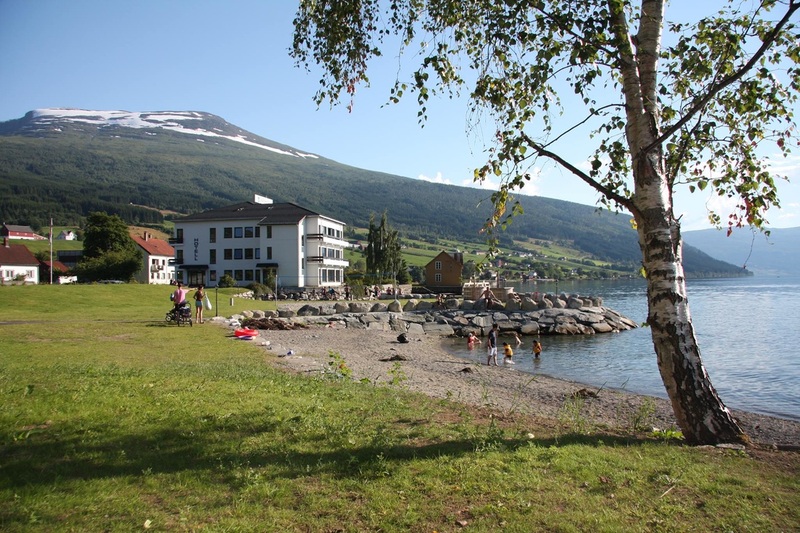 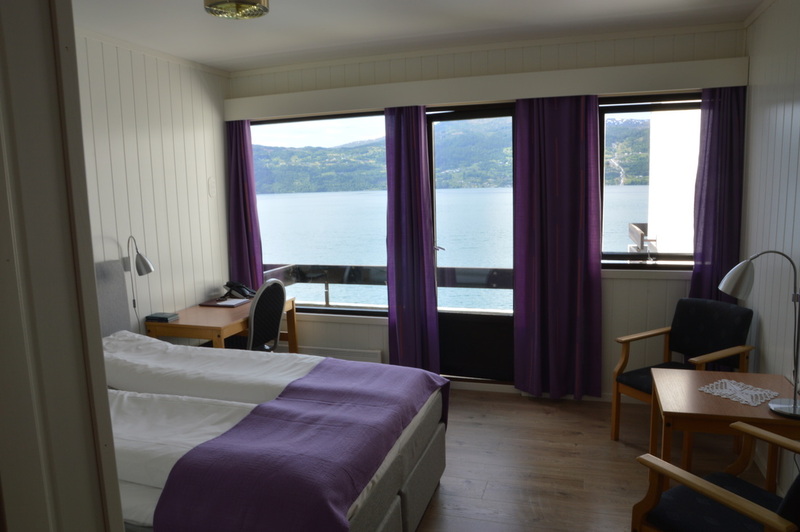 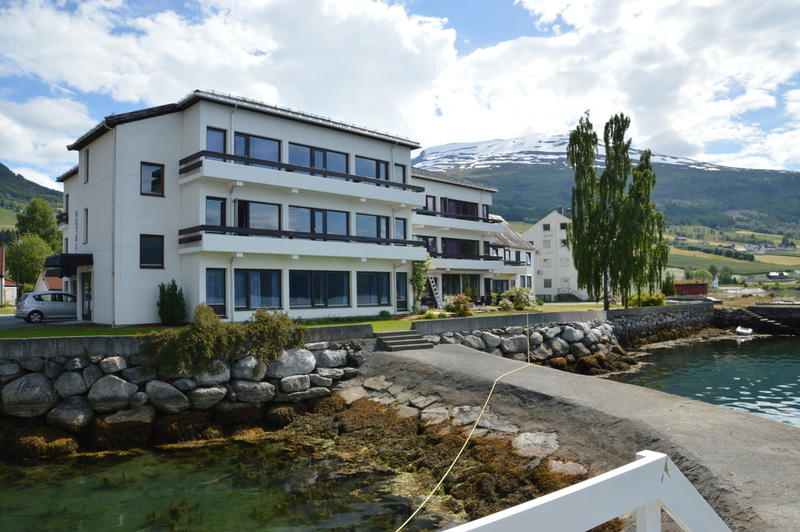 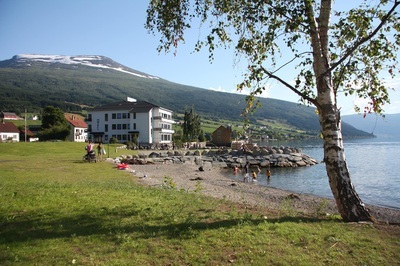 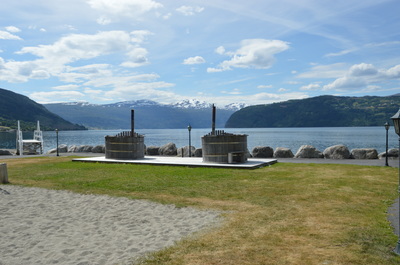 Our restaurant is located facing the fjord, with a marvellous view just 5 metres from the fjord. 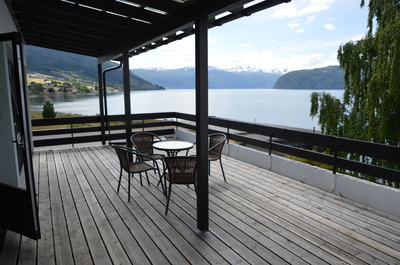 Right outside is the terrace where you can sit and enjoy a cup of coffee or a meal. The hotel has earned a reputation for serving delicious food. 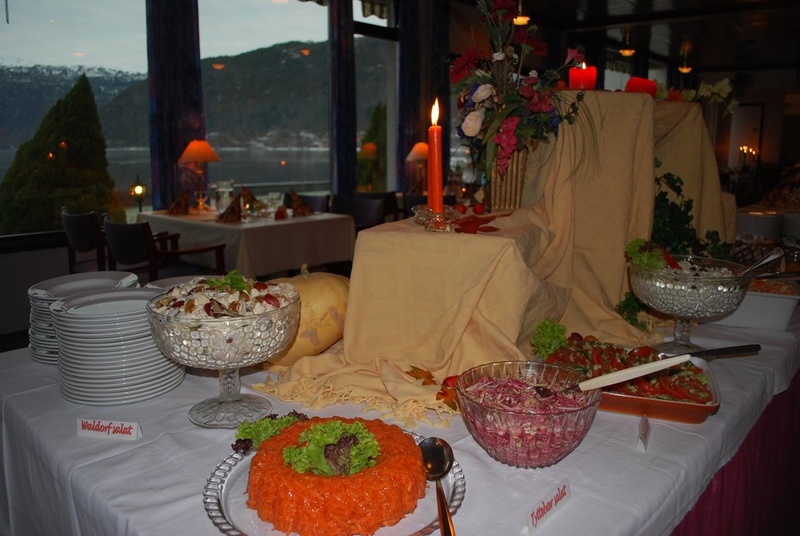 We focus on great, homemade food. Our buffet, with numerous salads, seafood, cured meats, hot dishes, dessert and coffee/tea is also popular for local arrangements. We cater for small and big festivities. 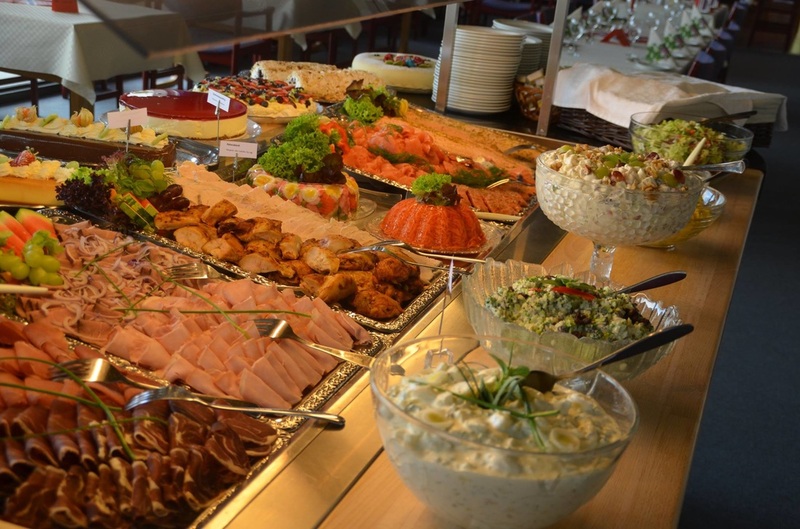 Contact us, and we will customize the menu for your event! 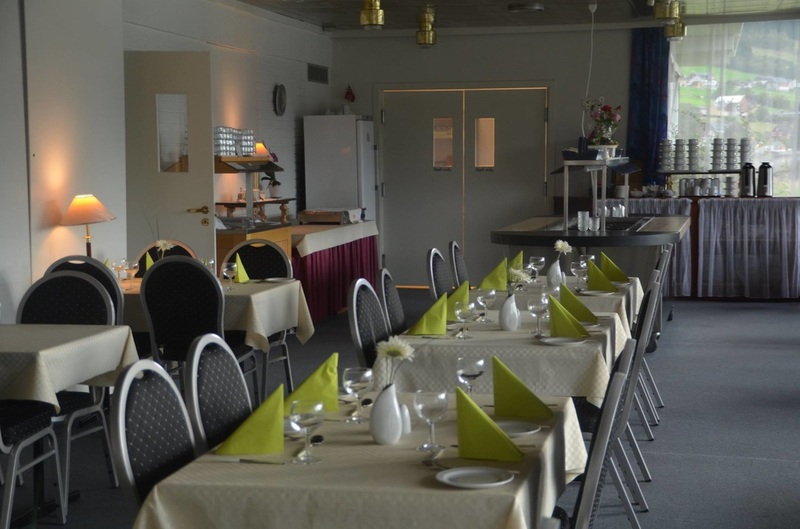 Welcome to an enjoyable dining experience! Are you celebrating a birthday, or throwing any kind of party? 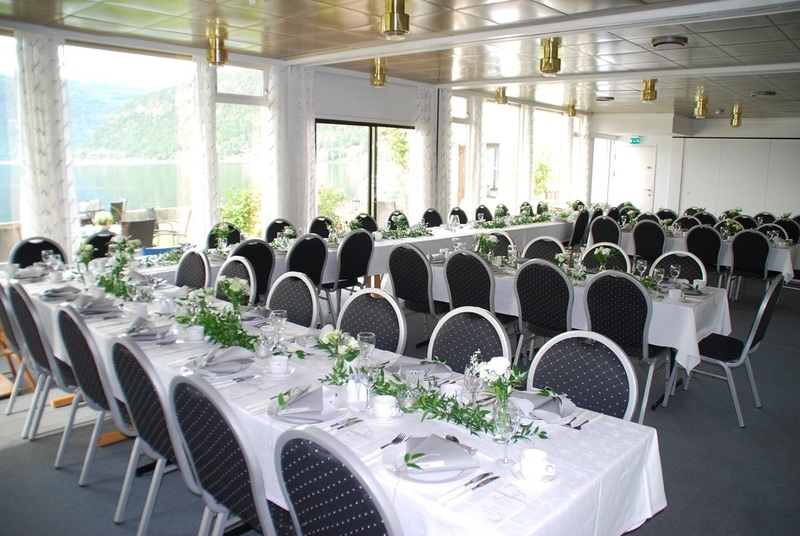 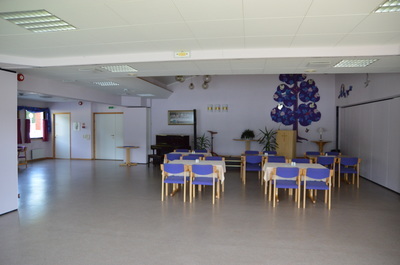 We have rooms in different sizes, and we can serve different types of food; dinner, buffet, cakes, etc. Contact us if you want more details on what we can offer. 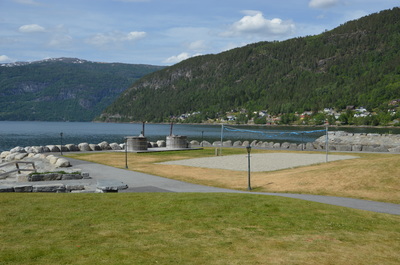 We have a nice outdoor area with our own beach, outdoor tubs, a sand-volleyball court and a paved hiking trail.